The old Share-a-Bull bikes will be replaced by the end of the first week in February. ORACLE FILE PHOTO/LEDA ALVIM. With the idea to improve the student experience, Share-a-Bull bikes are being replaced this week for the first time since the program was founded with a new and upgraded bike-share program. Coast Powered by HOPR officially began replacing the Share-a-Bull bike-share program Jan. 29 when the new blue bikes debuted on campus. 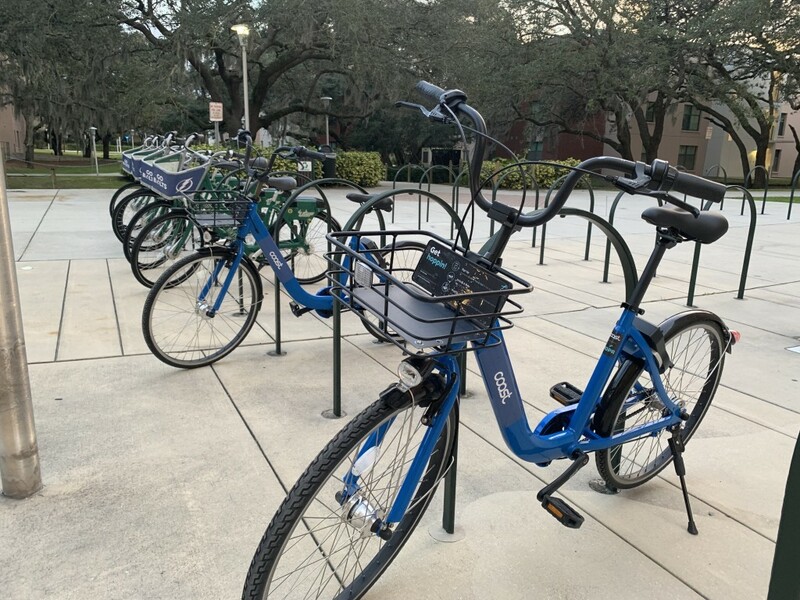 Due to a series of issues regarding the user interface on the old Share-a-Bull bikes, ranging from the unlocking process to the bikes’ performances, the new upgrade seeks to provide students a more convenient and sleeker experience at USF, according to a HOPR press release. 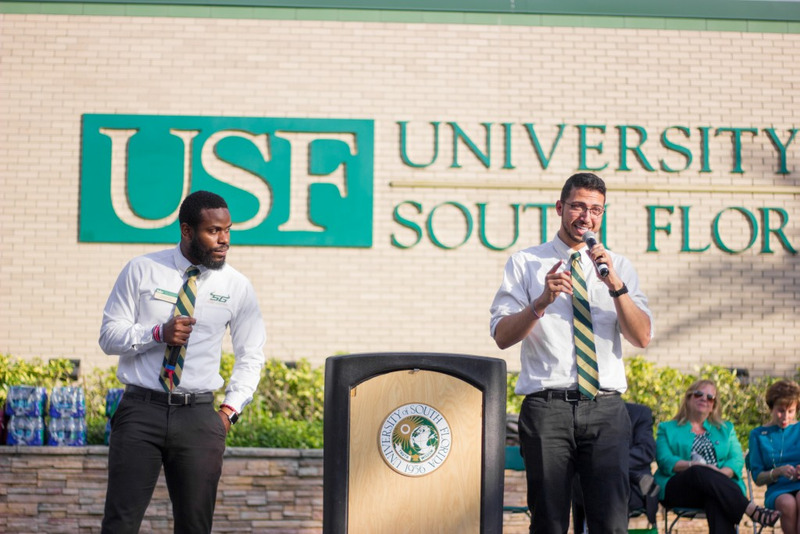 Coast Bikes took over the operations of USF’s bike share program in 2017 from Campus Recreation due to the low funding Share-a-Bull was getting and a decrease in ridership. Chelsea Davidoff, director of National Government Relations at HOPR, said the entire fleet of the old Share-a-Bull bikes will be replaced by the end of the first week of February. The change brings 100 new dockless bikes to USF. At the start of the transition, the number of bikes will remain the same, however, it may increase in the future based on student demand. With the change in platform and interface, the renting fees will increase compared to previous years. Students can now choose to pay $10 per month or $75 per year. In contrast, the renting fees were $7 for the monthly subscription and $59 for an annual subscription. All passes come with 60 minutes of ride time every day. Before the shift, students had to unlock their bikes by typing their account number on a keypad at the back of each bike. With the new system, students will be able to unlock each bike by scanning a QR code through the HOPR Transit App. In addition, students can locate bikes with a map that shows the ones that are not in use. According to Davidoff, the new upgrade will help streamline the service and facilitate the procedure for every student involved in the bike-share program. “We believe that this new upgrade will provide students a more enjoyable riding experience since it's an easier process to sign up and finish each ride,” Davidoff said. In addition, the new Coast Bikes are lighter than the original Share-a-Bull bikes. The new fleet of bikes weigh under 40 pounds each, whereas the old ones weighed about 55 to 60 pounds, according to Davidoff. This change in weight will make it easier for students to maneuver and pedal the bike, thus improving its overall performance. Davidoff said she believes that the bike-share program is an efficient way to promote sustainability and facilitate the mobility of students around campus.